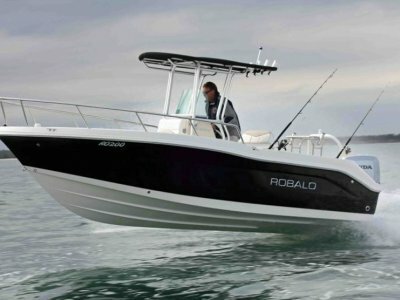 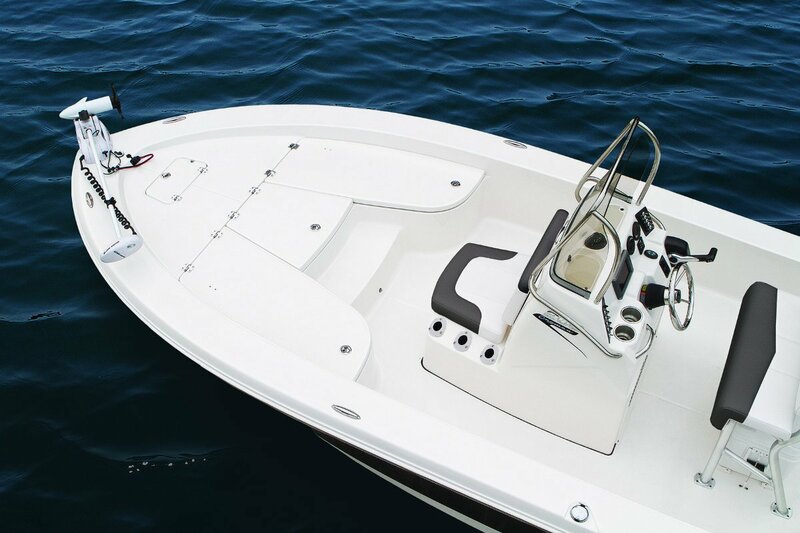 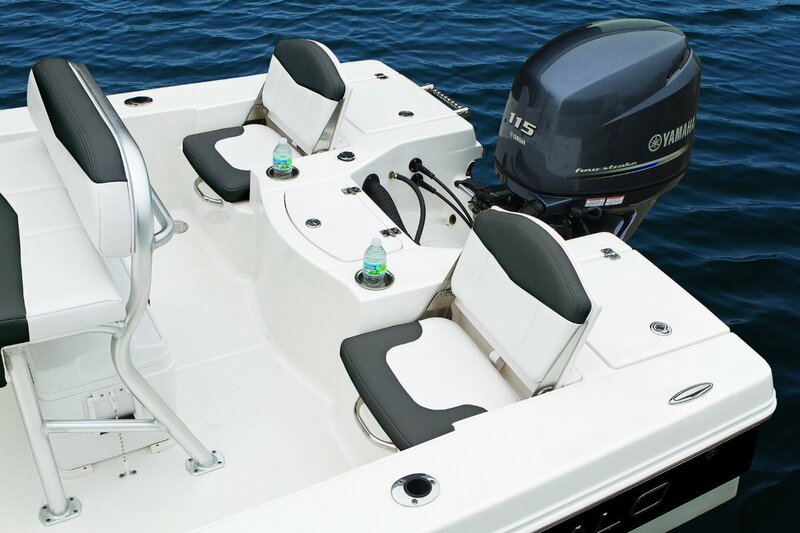 Robalo 206 Cayman, Bay Boat, the 206 Cayman has been designed as a high freeboard bass boat that is built to handle the rough stuff while incorporating the best of all of Robalos heritage, innovation and extensive R&D program. 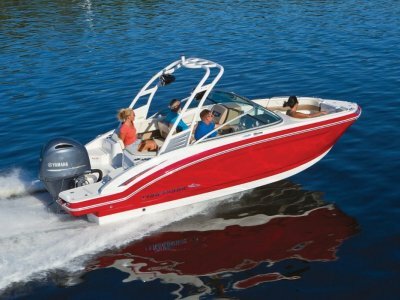 There's never been a new model introduction quite like the incredible 206 Cayman. 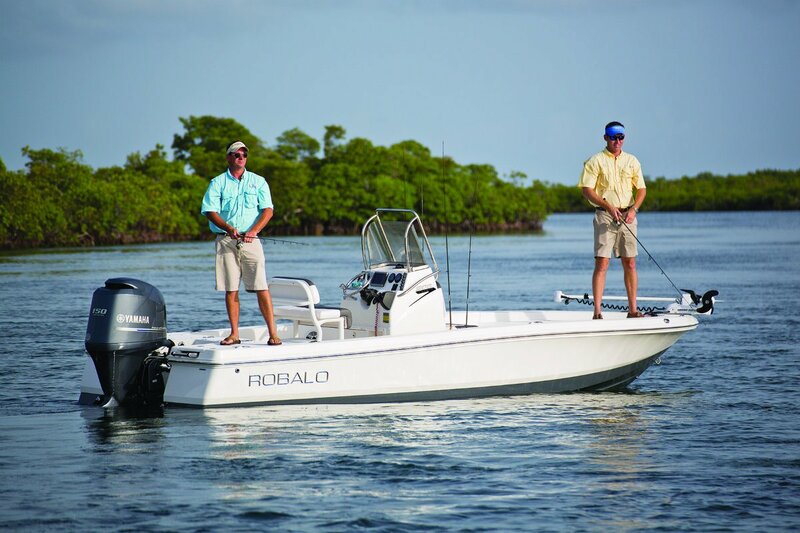 Robalo engineers have successfully mixed a shallow water draft with a feather soft 15-degree Extended V-Plane bottom design and an aggressive hullside flare so you can travel wherever the fish are biting. 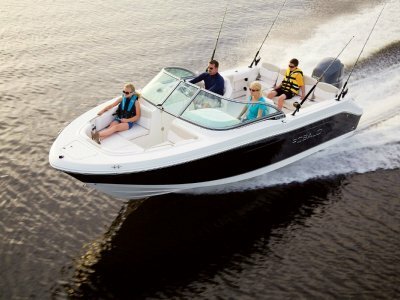 Big on features and even bigger on performance, we've made it easy to fall in love with the new 206 Cayman. 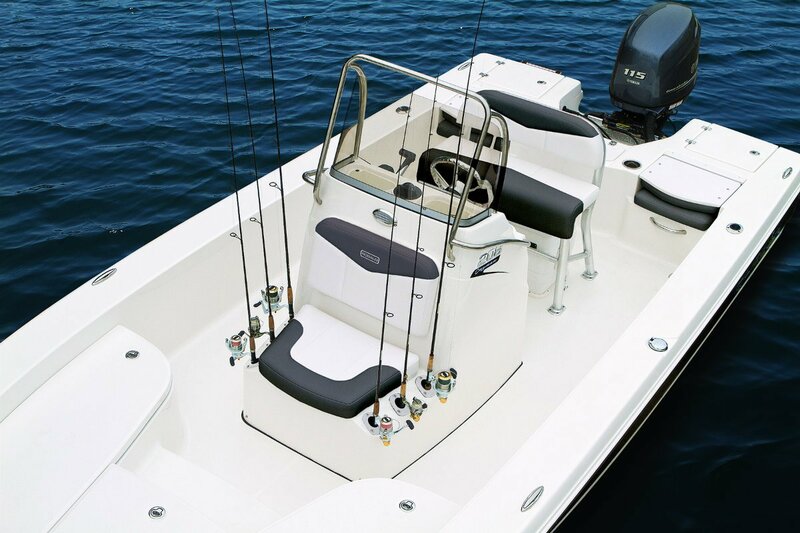 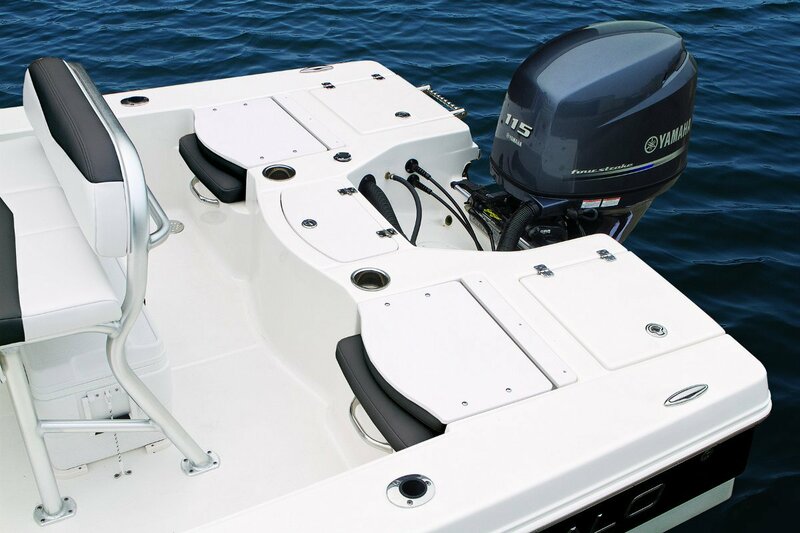 Upfront, the forward casting platform with its twin huge fish lockers and lockable rod storage is state of the art. 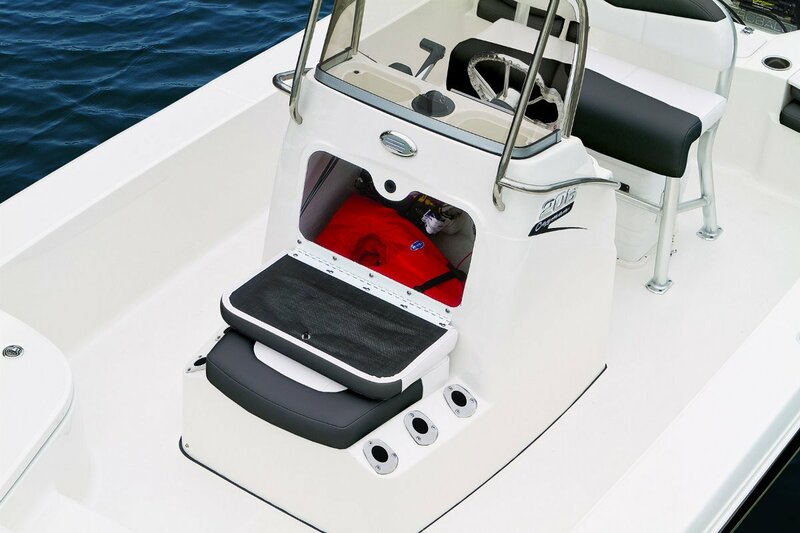 Aft, the convertible seating opens up all kinds of possibilities. 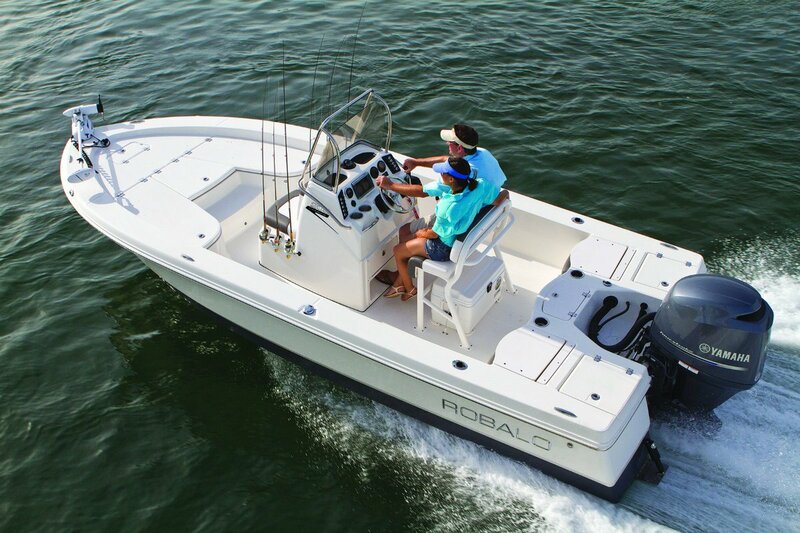 Amidships, the helm console that's more stylish and functional than you've ever seen in a 20-footer. 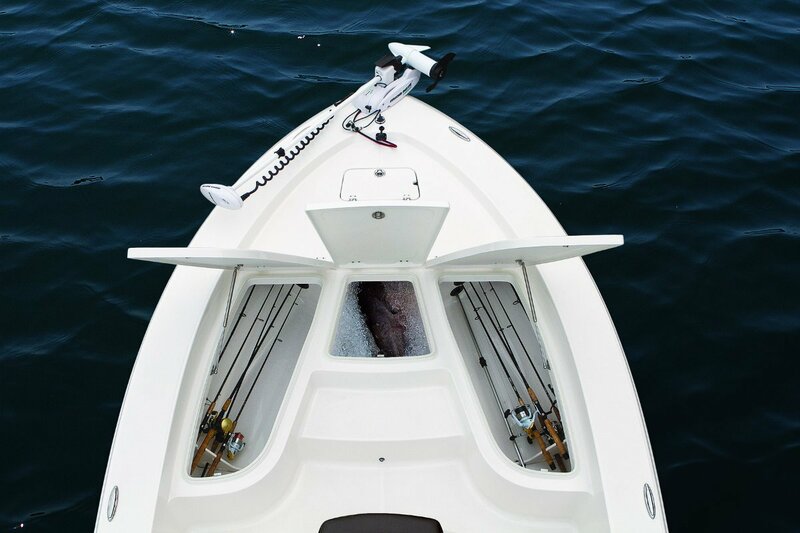 Six rods store at the ready, one of three livewells is tucked under the front seat so bait is accessible no matter where you are onboard. 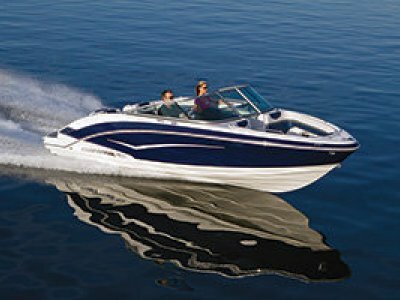 Priced here with a 115 Hp 4 stroke motor and a tandem aluminium trailer the 206 Cayman is not only big on features but represents the latest in Bass/Bay boat technology at a realistic price.